One of the most popular places for travelers to stop in Arkansas happens to be a roadside burger joint of some renown. Let me tell you about Feltner's Whatta-Burger in Russellville. 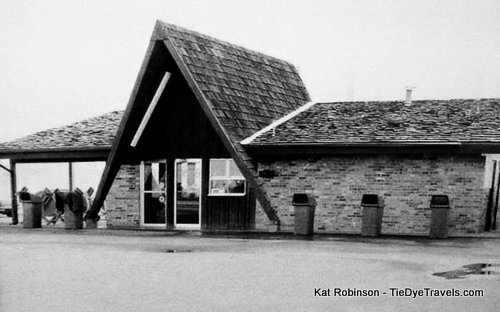 Robert “Bob” Feltner started serving up hot custom made burgers and mammoth orders of French fries back in 1967. The restaurant has expanded a little since then, and Mr. Feltner has passed on from this world, but the eatery’s still going strong. thanks from just about everyone. The décor has changed from time to time over the years, but it’s always been worth a stop just to read the walls. The décor may change, but the service doesn’t. Miracle Whip, and it lends tartness to the burger assembly. tray for your drink, shake, or pie order and a squeeze bottle filled with Hunt’s ketchup. 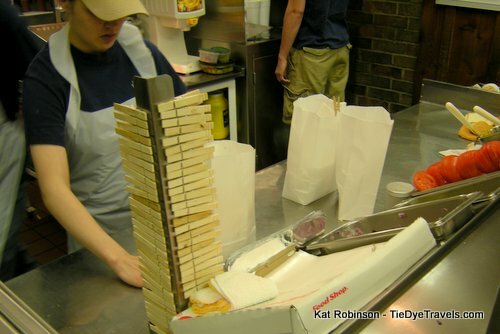 Napkins are on the table. 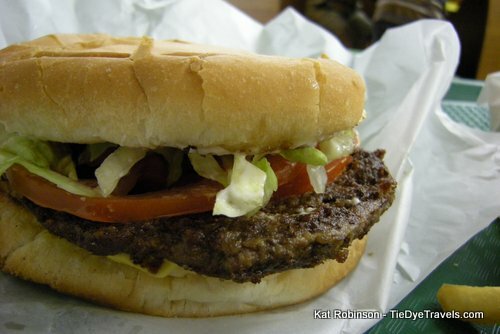 with cheese, tomato, lettuce, and mayo reportedly named after the chosen burger of Mr. Feltner’s daughter. This combination somehow conveys savory and tart, creamy and crisp and juicy all in one bite. unless you have a small army with you. 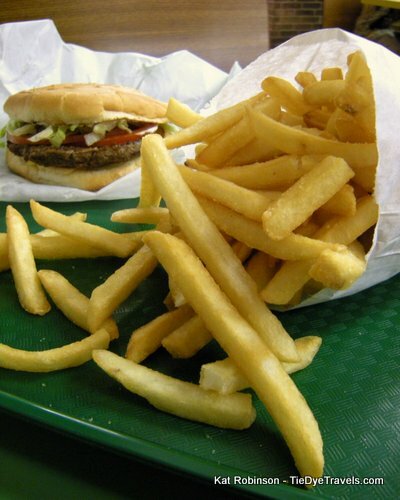 The acceptable choice is the half-order, which is still a lot of fries. There’s now even a “personal size” that contains about the same amount of French fries as what you’ll get in a large order at a burger chain. 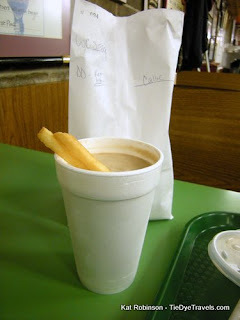 The fries are crunchy on the outside and a little soft inside, decent for ketchup but perfect for dipping in your chocolate shake. That’s right—in the shake. 32 ounces of thick and rich, able to hold up a straw indefinitely, but still slurp-able through same straw dairy delight may be too much of a good thing. They offer chocolate, vanilla, and strawberry, as well as pineapple, peanut butter, cherry, banana and butterscotch, and they’re almost always available. There are also fried pies in chocolate, apple, peach, and cherry. 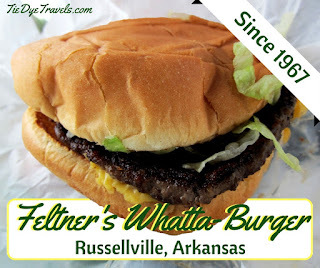 wondering, Feltner’s Whatta-Burger has nothing to do with the Texas-based Whataburger chain. 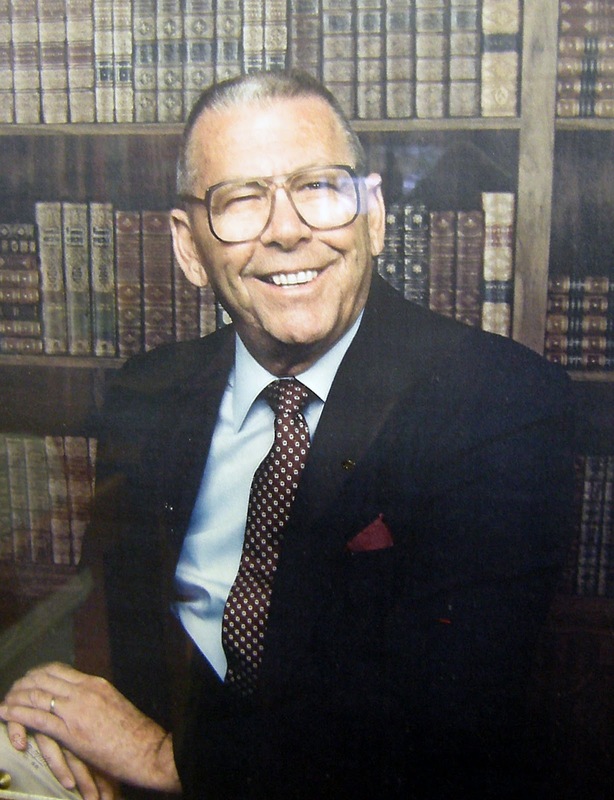 Different individuals around Russellville have told me different stories about what happened there, but what they all seem to agree on is that there was some sort of agreement reached years ago that Whataburger would never come to town and Whatta-Burger wouldn’t expand outside of Russellville. So if you’re in the area, be sure to drop in… especially if you’re making that trip from Little Rock to Fayetteville, and need a bite to eat. Take exit 81 on I-40 and head south on Arkansas Avenue (Arkansas Scenic Highway 7) until you come to the front entrance of Arkansas Tech. Feltner’s Whatta-Burger’s on the right. Call orders in ahead to (479) 968-1410, and if you need more information, check out the website. 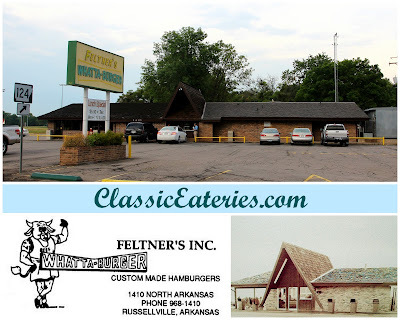 Read about a previous Feltner's Whatta-Burger visit, here. And see what Old Man Feltner's nephews got up to later on, here.